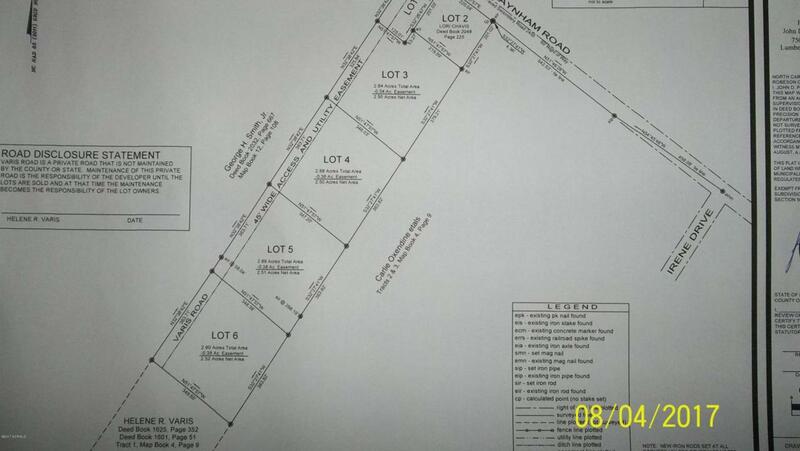 Selling Lot 5 to be cut out of larger tract. This lot is 2.89 acres with a .38 acre easement. Lot is restricted to Double wide (manufactured), modular or site built homes. All double wide homes must have brick underpinning. Listing provided courtesy of Jens L Lutz of Southeast Properties Real Estate Llc.